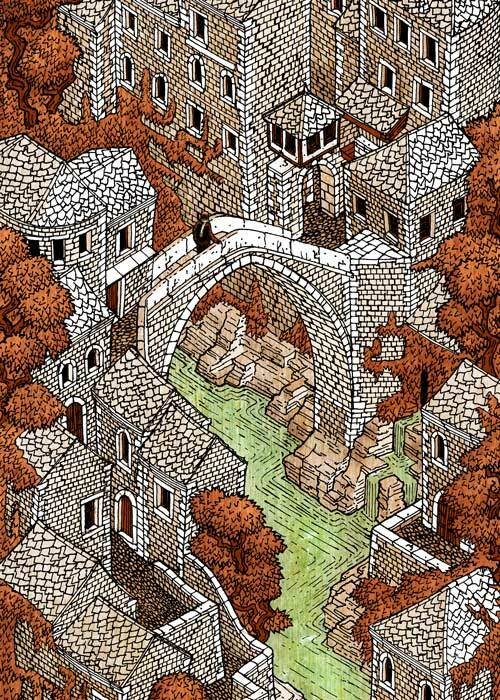 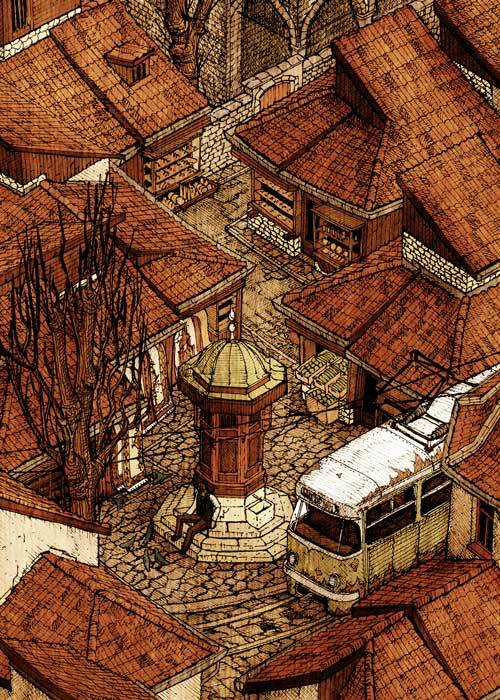 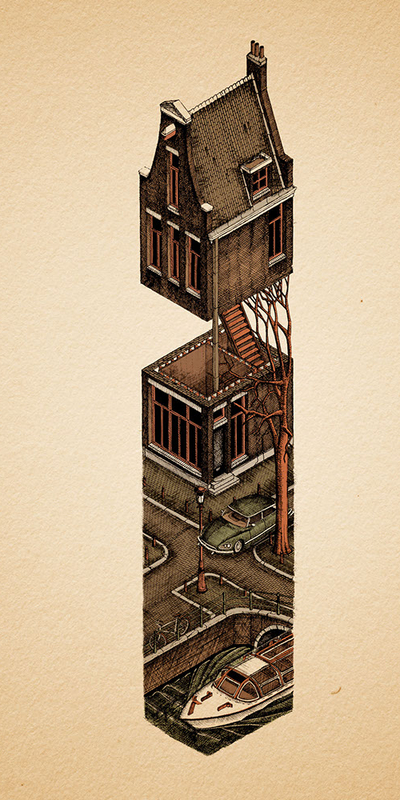 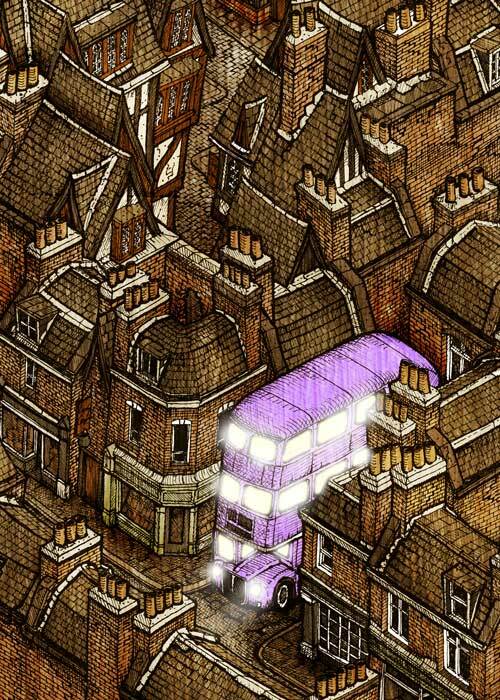 Evan Wakelin is one of those people that really spends time looking at the details of his surroundings. 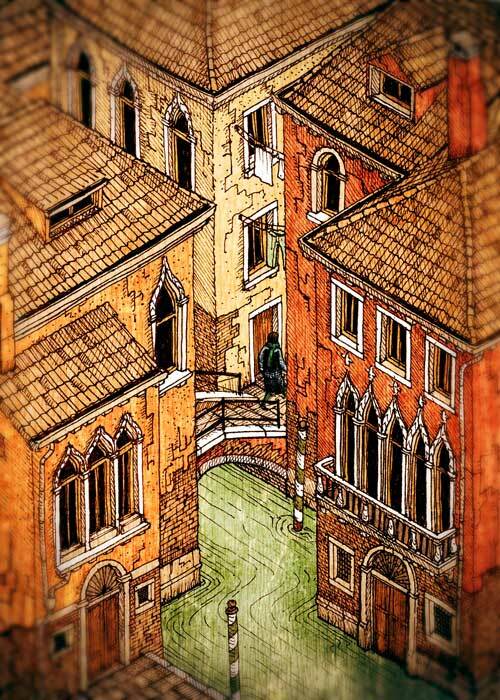 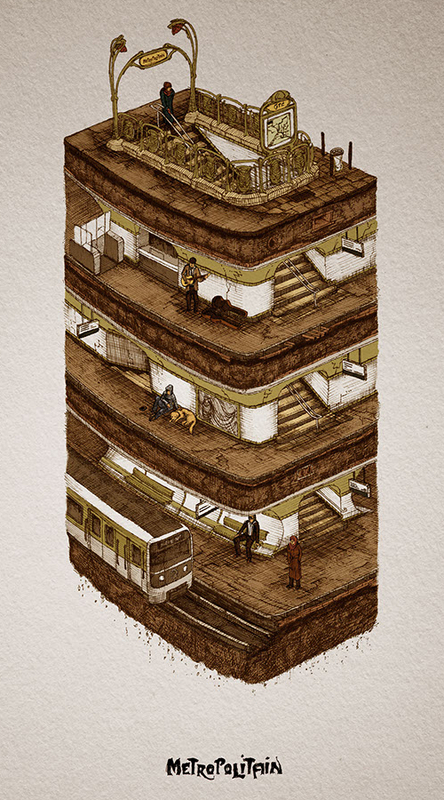 He loves to recreate and depict these scenes, in photographs and drawings. 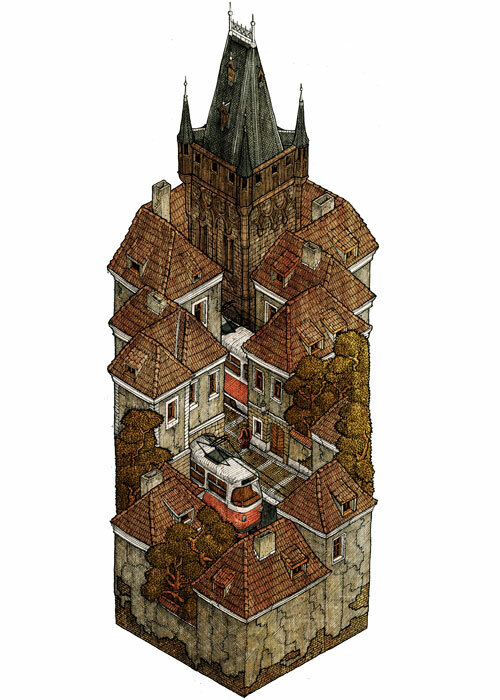 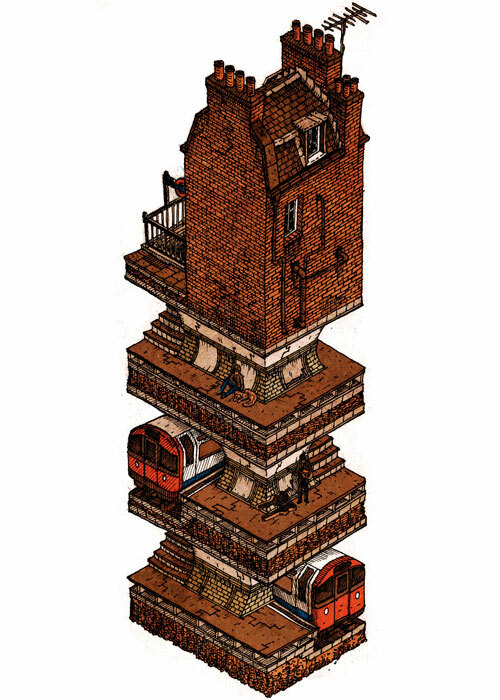 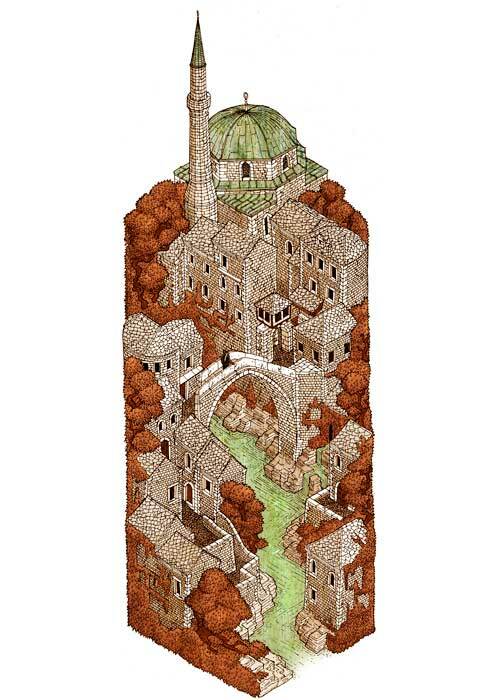 In his illustrations he incorporates all of the things he likes the most, vernacular architecture, public transport, forests, old Europe and more, front and centre of his compositions. 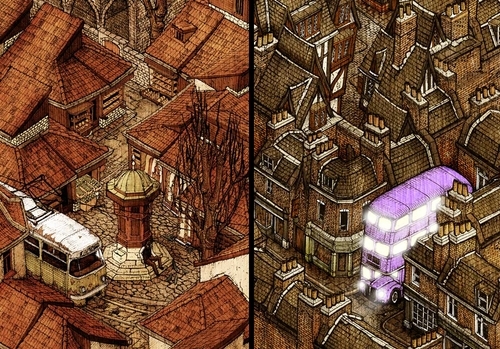 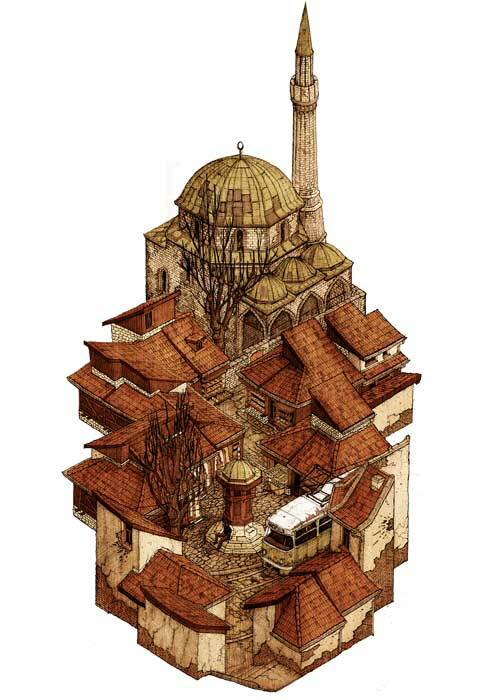 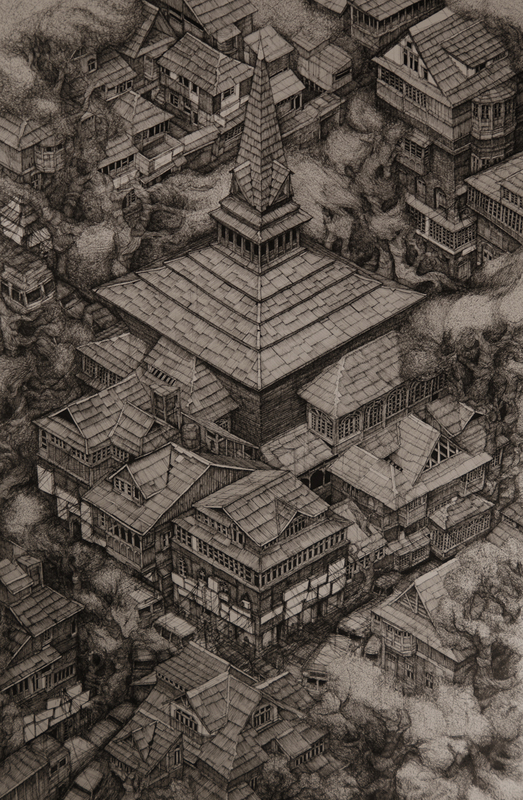 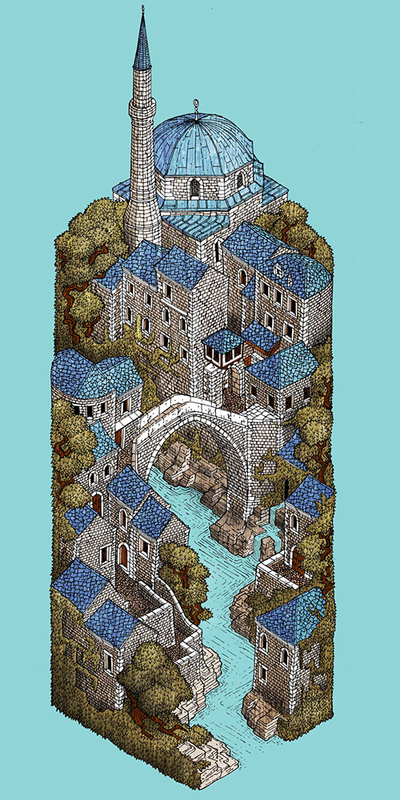 To do this he employs a technique called Isometric Projection where you don't have a foreground and a background, but everything is depicted as if it is on the same plane. 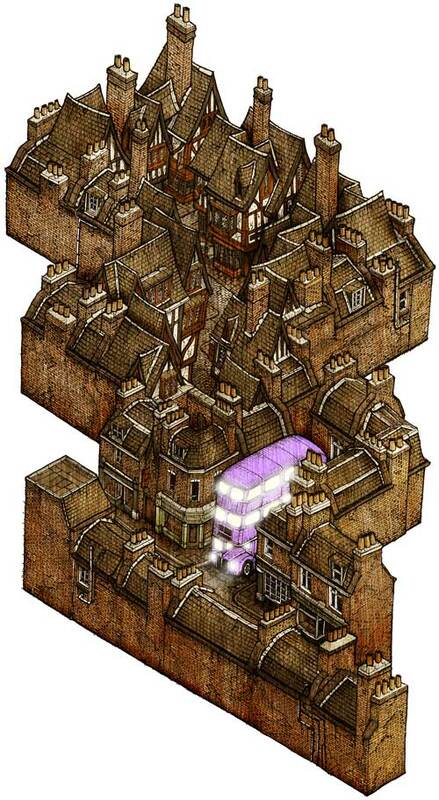 We have included, as well as the finished drawings, details and sketches of the work in progress.